Greetings Friends! 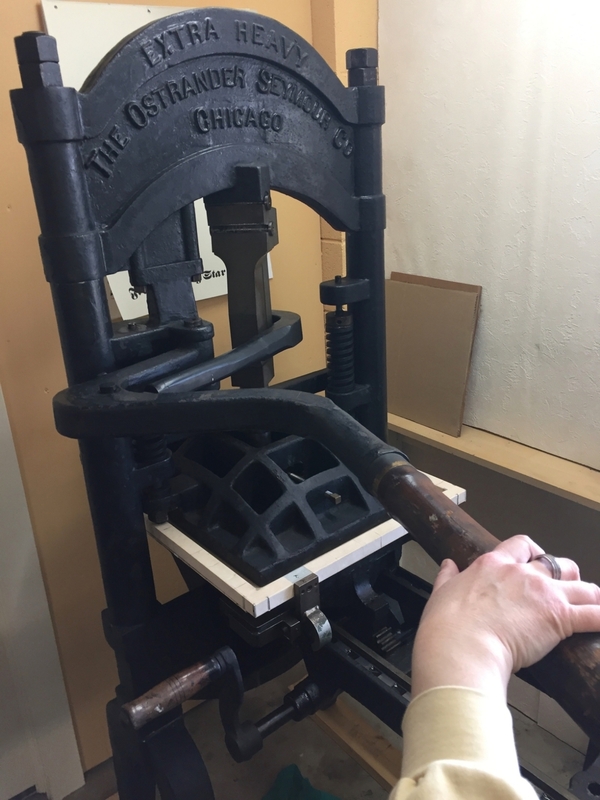 With the pressroom here at SBP now rounded out with four vintage presses, we thought you might like a closer look at the marvelous machines that do the heavy work of printing everything from coasters to books. 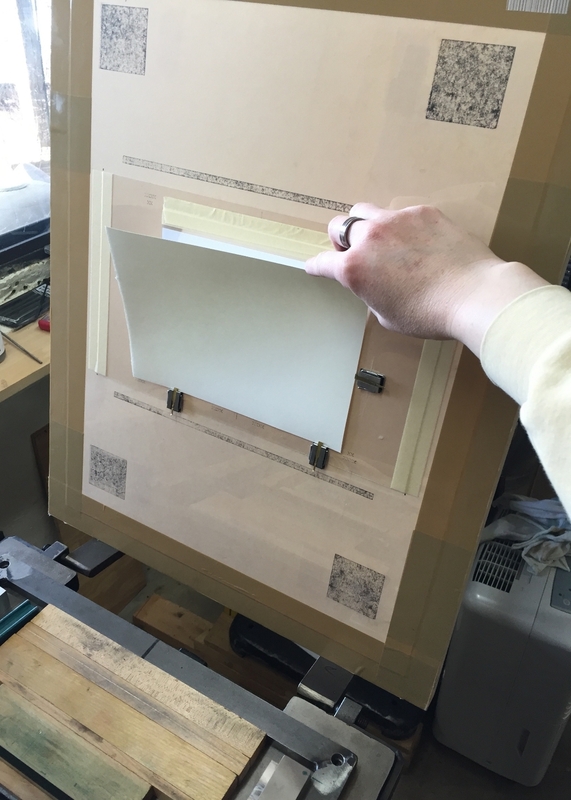 I've created a new page on this site that gives a brief description and a couple of photos of each press. 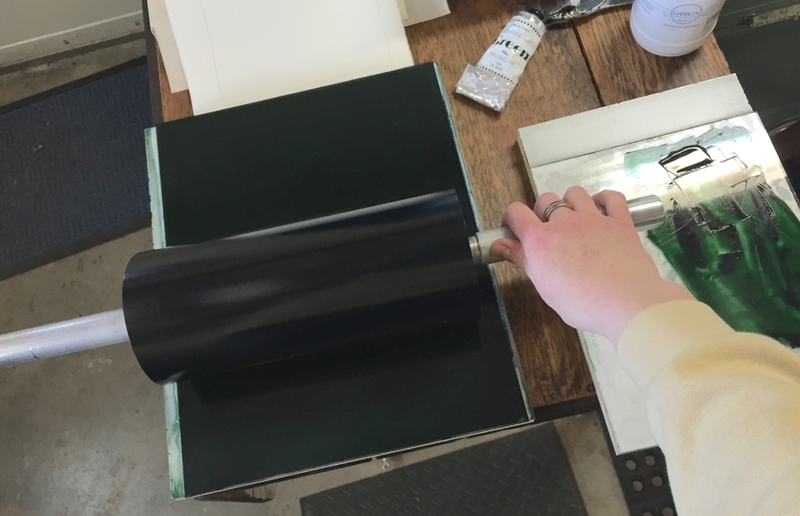 To learn a little more about the 3000+ pounds of cast iron and steel, click here: Printing Presses at SBP. Warm greetings to all from St Brigid Press! 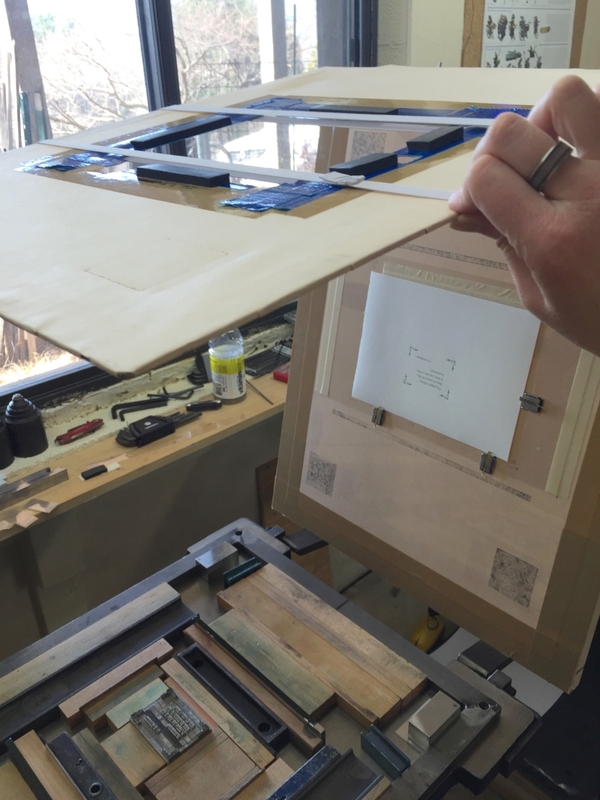 There is much news to share here, beginning with the homecoming of a new (old) printing press ~ a Golding Pearl Number 3, built in Franklin, Massachusetts in 1909. 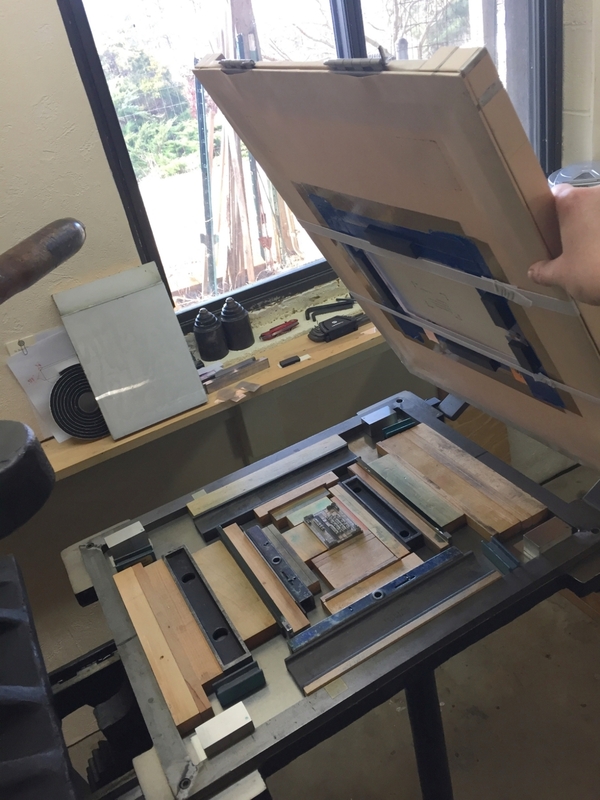 A couple of adventurous friends and I trekked to Florida at the end of April to visit Gary Johanson, a delightful printer, artist, musician, and techie who had lovingly restored this press over the past few years. Found derelict in a Florida barn, the machine was lucky to have been discovered before rusting into oblivion. Gary spent untold hours dismantling, cleaning, restoring, and reassembling, and she is now in very good working order ~ has even finished several printing jobs already, all with her native excellence and elegance! 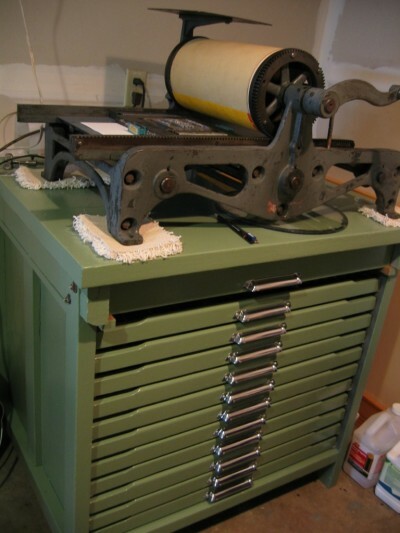 As you can see, this press has a flywheel and treadle (reminds me of my mother's old Singer sewing machine), which means that multiple prints can be made in relatively short order. When she gets rolling, the Pearl operates smoothly and quietly ~ much more so, in fact, than the desktop laser printer in my office! Here's to the continuing relevance, ingenuity, and artistic capabilities of some of the 19th century's technologies! With the addition of the Pearl, it became clear that St Brigid Press was straining at the seams of her original space (a very small, enclosed room in the basement, which nonetheless has very good lighting, a window, and a utility sink ~ also the washer/dryer, a long cabinet/counter, and, at night, the dog!). So, with that realization we began to plan how the larger, open portion of the basement (with walk-out door and big window looking south) might serve the needs of the Print Shop. After extensive excavations of various piles of "stuff" everywhere, the walls and floor-spaces of this room came into view. Last week, I applied blue foamboard to the cinderblock walls, to help moderate summer and winter temps (and to provide a nice place to attach posters, photos, cork, etc. ), and this week I hope to paint the sheetrocked wall a nice warm color. A dark and dingy basement this will hopefully not be! Next challenge ~ moving all the presses and equipment into their new places in the "new" space. Many thanks to all for your continued interest and support of St Brigid Press, and best wishes for the remaining weeks of Spring. 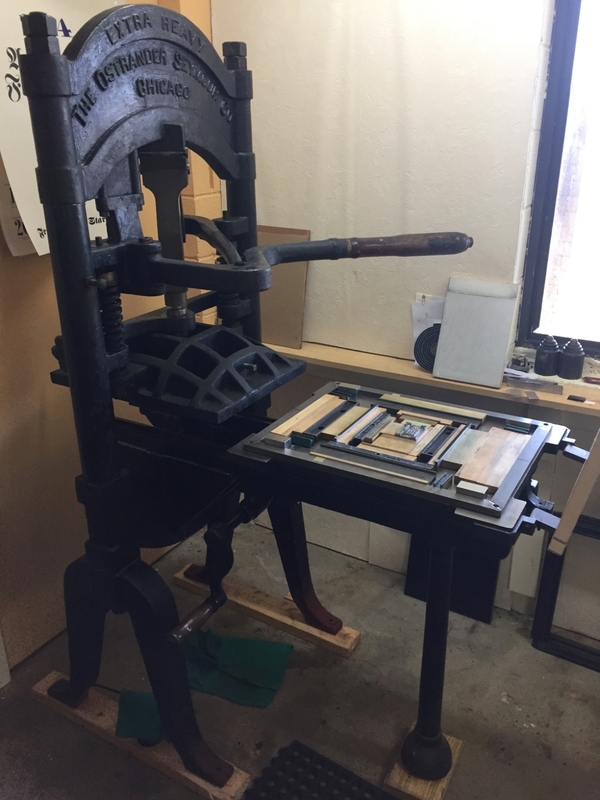 Here is the little press on its stand in my studio (quite the adventure wrangling the 200 pound piece of cast iron out of the car, onto a makeshift dolly, and into the basement room, but we managed!). 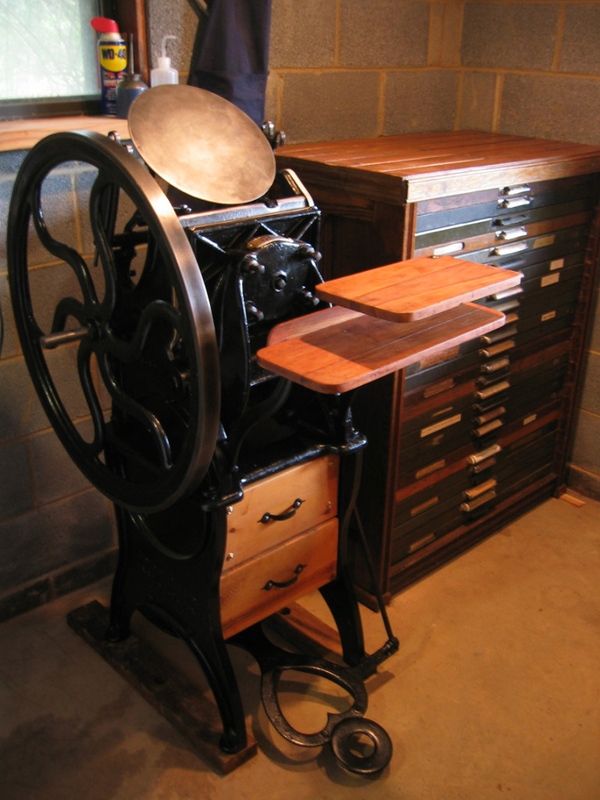 The bed of the press, the flat part where the moveable metal or wood type is arranged and locked and upon which the paper to be printed is placed, measures 12"X18". 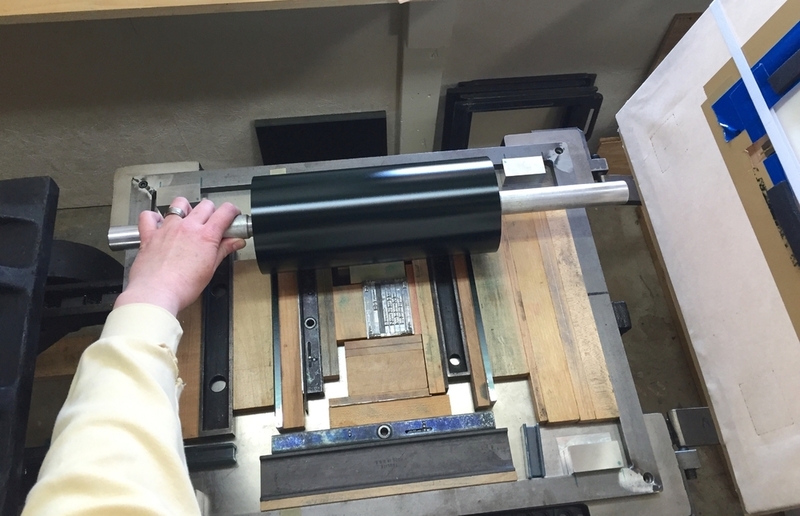 When the crank is turned, the bed moves under the cylinder and "presses" the paper onto the inked type. Voila! A print! That bears a human soul!"